The scandals linked to President Trump’s swamp cabinet just grew thanks to Commerce Secretary Wilbur Ross. Business associates are accusing Ross of biking them out of more than $120 million which could rank him “among the biggest grifters in American history,” according to a report released today. A Forbes investigation — which included interviews with 21 people who have worked closely with Wilbur Ross in the past — alleges the 80-year-old Trump loyalist stole “a few million here and a few million there” throughout his career as an investment banker. This isn’t the first negative report on Ross by Forbes, a prior report by the long-time Republican and Conservative-aligned financial publication. It recently did a story on Ross that he fudged his finances to appear on the Forbes’ elite list of billionaires. 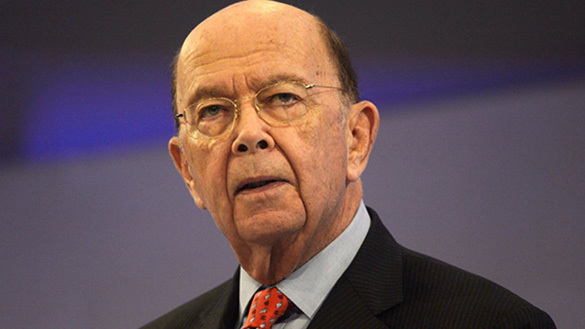 Wilbur Ross deceptive representation of his wealth became an issue for Forbes following his filing of disclosure forms after his nomination by Trump showed he actually had less than $700 million in assets. Forbes riled by Ross deception - removed him from their list billionaire list last year. “He’s a pathological liar,” a former colleague told Forbes. This past month Ross discretely settled the lawsuit for $4 million brought by a former employee of his who alleged Ross stole his interests in a private equity fund; then tried to cover it up the theft with bogus paperwork. This isn’t the first allegation of theft and dishonesty against Secretary Ross. A former Vice Chairman of Ross's private equity fund, WL Ross & Company, named him in a $20 million lawsuit in 2005, alleged that he was cut out of his interests. Still another lawsuit alleged that Ross and his firm charged $48 million in improper fees on investments. Former employees and business associated paint an ugly picture regarding Ross’ private life, telling Forbes during the magazine’s investigation that he is a cheapskate who is obsessed with money. Two former colleagues reported to Forbes when contractors would call Ross’ office looking to get paid for jobs at his home was a common occurrence and that he even took handfuls of Sweet’ N Low packets from a restaurant near his office, so he wouldn’t have to buy some for himself. A commerce department spokesperson called the allegations in the Forbes article “petty nonsense” and embellished the denial by insisting Ross doesn’t use sweetener in his coffee. That like many things Ross has said over the years amounts to a lie. The SEC has, in fact, find his firm $2.3 million, in 2016. Ross dishonestly insisted that one lawsuit filed against him had been dismissed by the court involved, but purposely omitted the fact that that lawsuit dismissal is being appealed.